HERE ARE LINKS TO YOU TUBE SHOWING THE VARIOUS PRESENTATIONS. YOU TUBE VIDEOS RIPRESI DURANTE LA CERIMONIA DI PRESENTATZIONE DEI DONI ALLA UCCELLO. 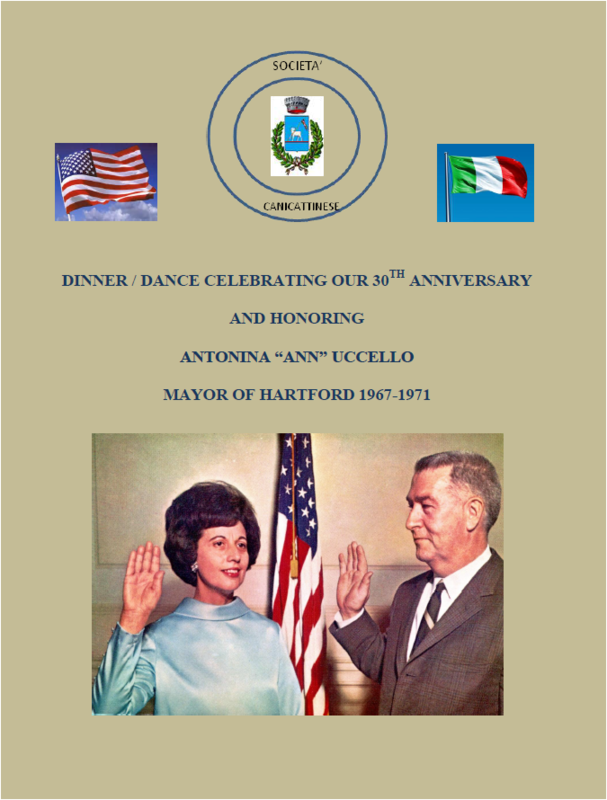 ON 9-12 OVER 230 PEOPLE JOINED THE CANICATTINESE SOCIETY IN CELEBRATING OUR 30TH ANNIVERSARY AND HONOR ANTONINA ANN UCCELLO, FIRST EVER WOMAN MAYOR OF HARTFORD AND THE DAUGHTER OF CANICATTINESI EMIGRANTS. PAOLO AMENTA , MAYOR OF CANICATTINI, JOINED US FOR THE PROCEEDINGS AND PRESENTED A BEAUTIFUL PAINTING ON PAYRUS OF THE RENOVATED FOUNTAIN DEL CANALE OF CANICATTINI. DANIELA GAZZARA E MARIA LA ROSA OF IDEE BAROKKE SENT A BEAUTIFUL NECKLACE FOR OUR HONOREE. 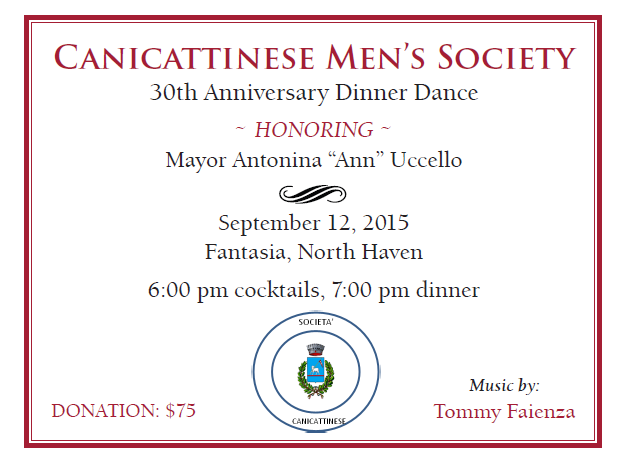 THE SOCIETY PRESENTED A PLAQUE TO NUCCIO SBRIGLIO, THE FIRST PRESIDENT OF THE CANICATTINESE SOCIETY, FOR HIS MANY CONTRIBUTIONS.